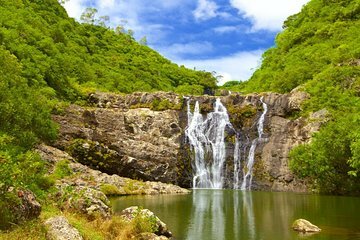 Spend the day immersed in nature as you hike around the Henrietta region of Mauritius. Take a dip in the cool waters, hike through the lush forests, and observe the local wildlife during this 7-hour hike to Tamarind Falls. Sit down to a picnic lunch of local foods near the cascades as you enjoy a tranquil day exploring the island’s natural beauty. All fees (Guide fees) is included in the tour. It is recommended to bring backpack, hiking or sports shoes, suitable clothing, swimming suit and various protections (sun cream, insects’ repellent, warm clothes) and spare shoes & clothes.